Former Mumbai FC coach will be donning the Coach's Role for Mizoram's only team in I-League. Khalid Jamil, a former India International, managed Mumbai FC from 2009 to 2015, making him the longest serving Head Coach of an I-League team. Known for his defensive style of play, Jamil led Mumbai FC during their toughest times, when they had to move out of Cooperage Stadium due to its renovation and managed to avoid relegation. It was during his time that rivalry between Mumbai FC and Bengaluru FC developed due to his on-field and off field antics with the Blues fans. He is also one of the very few Indian Coaches to have AFC Pro Licence for Coaching. Aizawl FC has had a tough Mizoram Premier League, where they were unable to replicate their last year's dominating performance under Assistant Coach, Mala and finished 3rd in the League table and bowed out of competition after losing to eventual Champions, Chanmari FC in the semi-final. 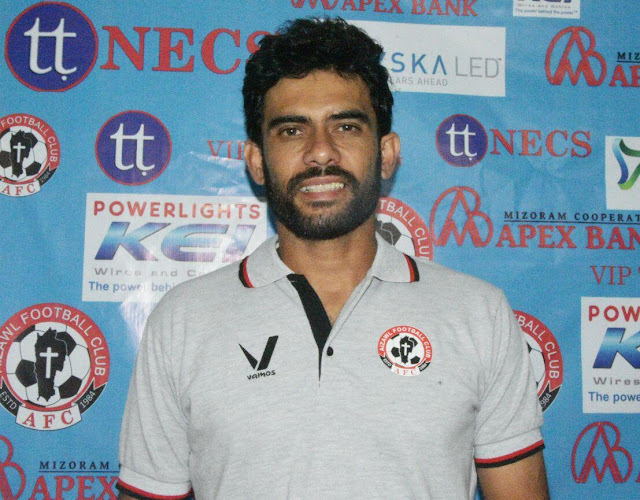 Khalid Jamil's will face his first test as Aizawl FC's Coach as his side travel to Kolkata to face East Bengal FC in their opening encounter of Hero I-League to be played on 7th January at Barasaat Stadium.